Ever wondered how print works nowadays? Below we have written a simplified version of the print process at Print4London.com, but we hope this gives you a good understanding of how print production works. If you have any further questions, do get in touch with us - we'd be happy to explain the process to you in person. The print process begins once our account managers have received a brief and agreed on a deadline with you. The brief, including your name, your company name and project objectives, gets passed on to our designers in the studio. There, our studio team gets started on your artwork. Even when you send us your own pictures and images, we have to create a visual version of the printed product. Once the designs are complete, the studio team sends the artwork to the printers downstairs, where one of our press operators oversees the print production on our state-of-the-art printing presses. These guys then continuously check the printed pages for errors. We generally print about 50 test pages, to make sure that the pages really do come out as expected. When our print guys are satisfied with the quality of the print-outs, they send the pages to the binding and cutting department of our print studio. There, we once again create test prints first and adjust the machine settings if necessary. 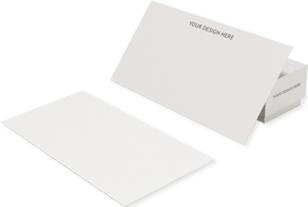 Once satisfied with the quality of the print, our binders and cutters contact the packaging and delivery department to send your print products to you. Finally, our finance and accounts payable department will get in touch with you to send you an invoice for our work. Do you have any further questions? Calls us on 0800 917 6377, email us hello@print4london.com or simply leave a message below.